I just wanted to make a quick introduction on myself and what my blogs will consist of. I was born and raised in Cleveland, Ohio. I love basketball, especially LeBron James and Kyrie Irving. I have so many things I want to blog about that range from my career working in radiology, my transition into self publishing and podcasting, basketball, entertainment news, and the paranormal. I started my career in radiology and I truly feel like it was the wrong career choice for me. I am currently making a transition from radiology to journalism. I will be writing about how I got started in radiology and my experiences as a temp or travel MRI technologist. I will talk about all of the good and bad of radiology. 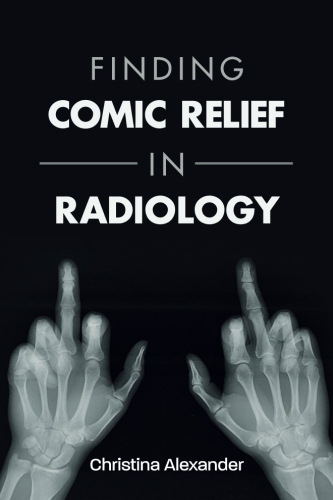 I am currently a self publisher with mild success on my first book Finding Comic Relief in Radiology (picture you see on my page). The book basically tells it like it is working as a MRI technologist. My second book Silenced which is about my experiences with the paranormal will be available on Amazon in a few months. I am so excited to share my personal stories with you and I can’t wait to read all about yours! Next postChoosing the right career for you!